We are offering Fender Pads to our clients. 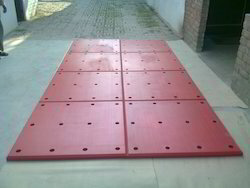 Our company is engaged in offering a wide range of Truck Wagon Lining. 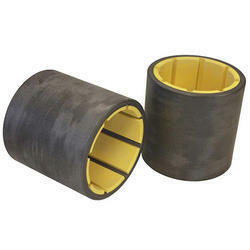 These are offered in recommended thickness of liner is 15 & 20 mm. In crucial corner thickness can be increased. 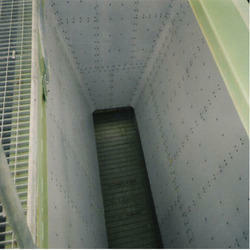 Our plascon liners are available in thickness up to 75 mm and above. Plascon spare parts for mining and metal processing industries , bearings, bucket conveyor housing for cement raw-materials, salt, gypsum, pyrite, purple ore, molding sand, titanium ore, raw phosphate, potassium chloride, bushings, round with & without collar, chain conveyor wear plates, conveyor belt scrappers, flight shoes, guides, idlers, rollers, skirt boards, wiper rollers, wear bars trough lining, cooling water troughs, covers for air separators for fine coal dus, exhaust nozzles, gears, idlers-sleeves, bushings, rollers, ducts, hoods, pulleys, silos, sluices, spirals, wipers and wiper plates for conveyor belts and disc or drum filters. Our clients can avail from us a wide gamut of Excellent Polymer POM for Mining and Material Handling. This Polyrib-ultra is suitable for polymer for bulk material handling in mining, conveying, storage and transportation. Typical problems of bulk material storage like arching, shaft formation, caking and irregular discharge is taken care of Polyrib-ultra because of its good sliding properties and excellent abrasion resistance it outwears stainless steel by almost 2:1 ratio. Materials Handled includes Coal And Charcoal, Iron Ore, Lime Store, Sinters, Copper Concentrate, Clay, Kaolin Clay, Gypsum, Chemical Powders, Soda Ash, Salt And Potash, Silica Sand, Soap Detergent, Wood Chips, Dust, Zinc Concentrate, Phosphate, Talc, Fly Ash, Bauxite, Nickel Ore, Foundry Sand, Glass Batches, Pesticides, Grains. 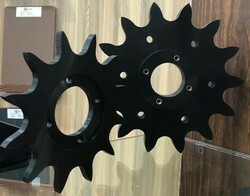 Characteristics Outstanding Wear Resistance, Exceptional Co-Efficient Of Friction, Excellent Chemical Resistance, High Impact Resistance, Anti-Sticking/Slipping Surface, No Water Or Moisture Absorption, Self-Lubricating, Light Weight For Easy Installation, Promotes Flow Of Bulk Material Compared To Stainless Steel, Carbon Stell Etc. Applications Mining, Hopper Liner, Chute Liner, Scrappers, Reclaimer Bucket Liner, Dry Line Bucket Liner, Front End Loader Bucket, Shovel Liners, Bunkers, Storage, Transportation And Conveying, Reclaim Hoppers, Truck Dump Hoppers, Rail Dump Hoppers, Vibratory Feeders, Hoppers, Dozer Blade Liners, Silos, Bins, Bunkers, Slider Beds, Skirting, Belt Scrapers and Cyclon. 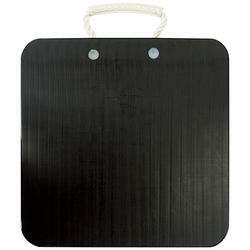 We are offering Plascon Outrigger Pad to our clients. We provide high-quality products to our customers. 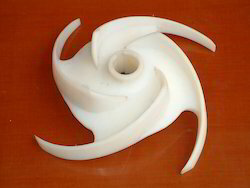 We are offering Pump Impeller to our clients. 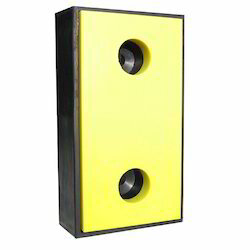 In our extensive range of products, we manufacture, trade and supply Polythene Dock Bumper. 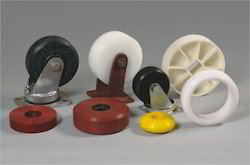 In our extensive range of products, we manufacture, trade and supply Wheel Caster. 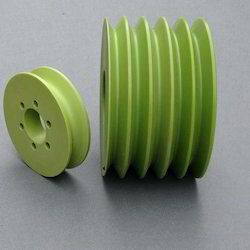 We are offering Wire Pulley to our clients. A Self Lubricating Bearing is a metallic component with high porosity (20-25% in volume), impregnated in a lubricant oil. The oil contained in the porosity provides a constant lubrication between bearing and shaft, so the system does not need any additional external lubricant. We are offering Plastic Plates to our clients.